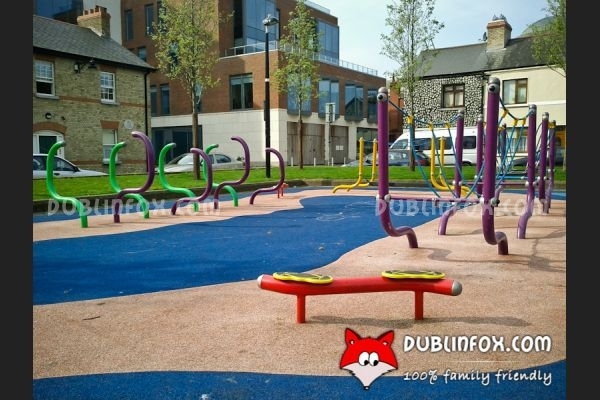 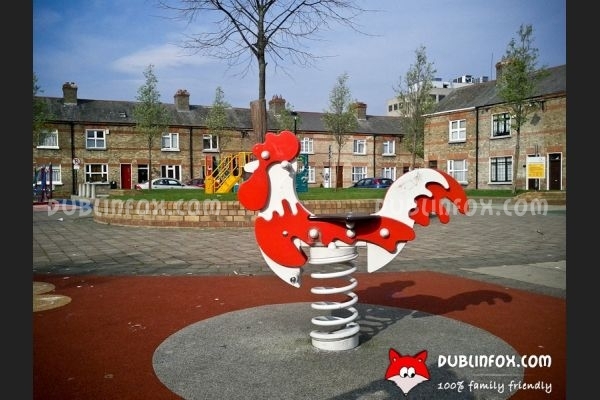 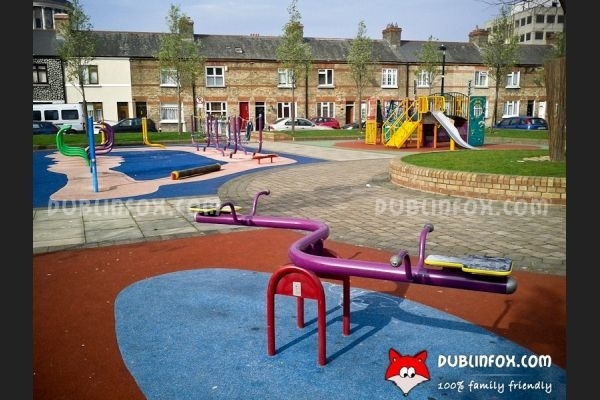 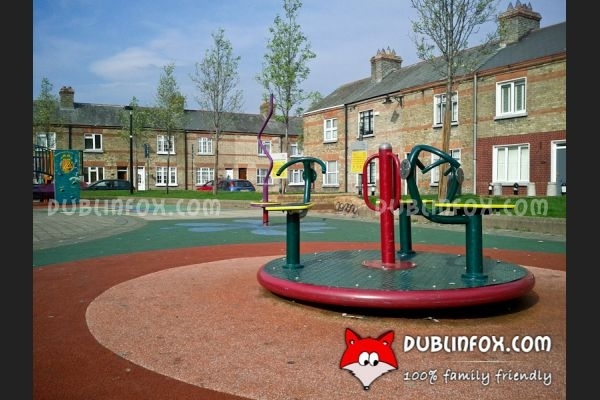 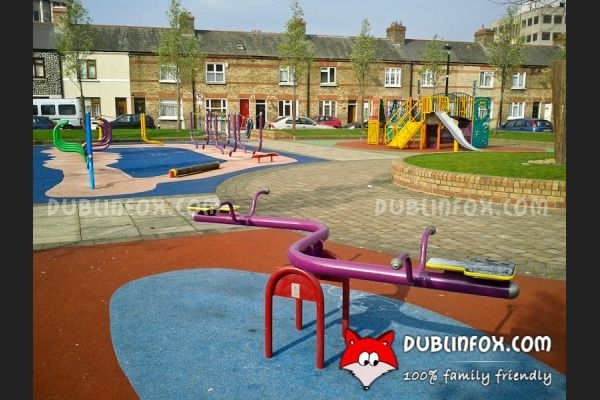 Ormond Square playground is a lovely, colourful playground in the middle of the city. 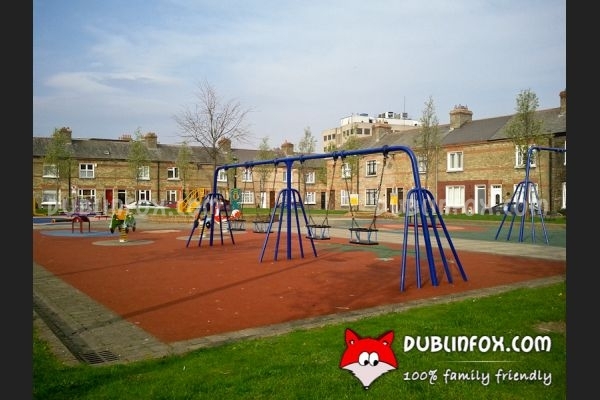 It is not fenced, but as it is surrounded by houses, it is absolutely quiet and safe. 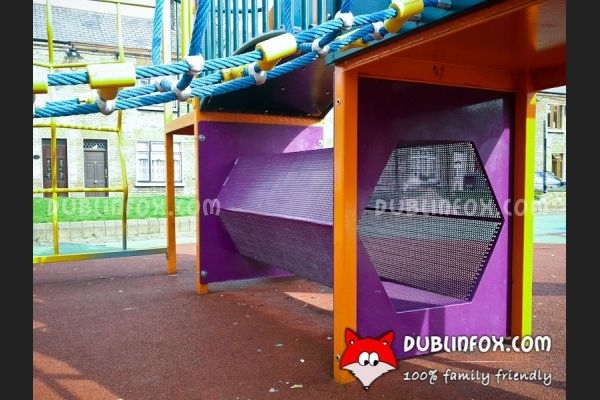 It is suitable for toddlers and a bit older kids, although it is more exciting for younger children. 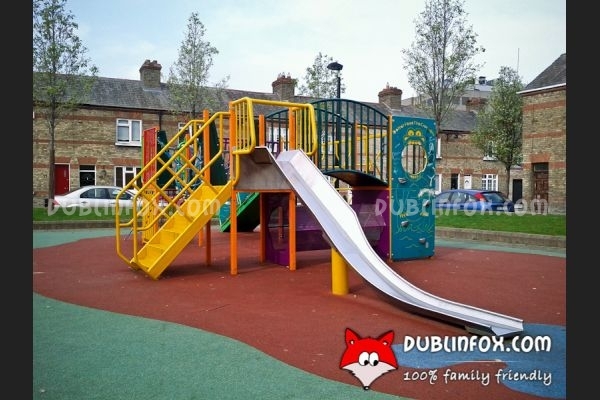 They might enjoy the baby swings, the different springers, the curved see-saw, the roundabout swing, the slide unit and the balancing beams; whereas older kids might find the more challenging balancing structures and the swings entertaining. 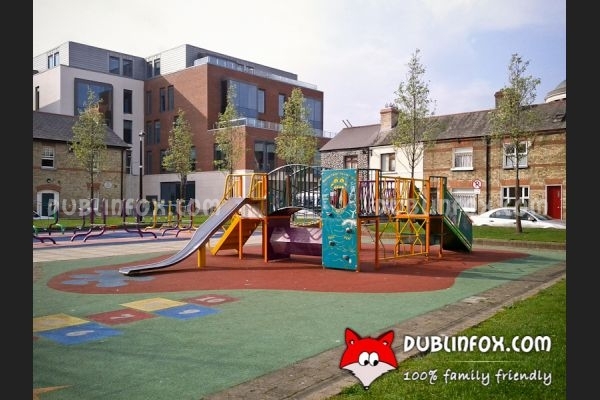 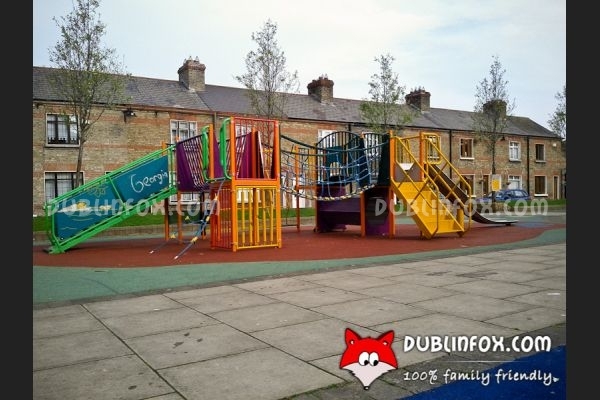 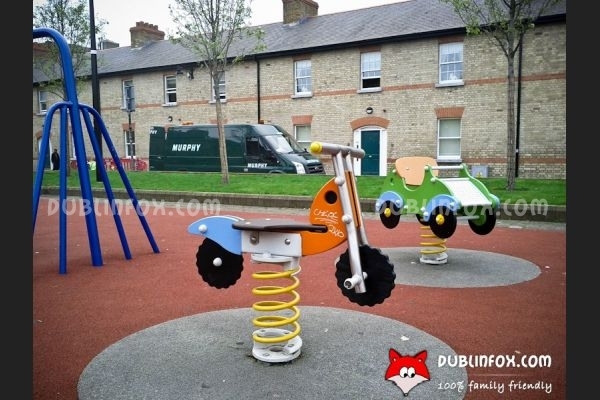 The playground is usually not too crowded, so although it is essentially used by the kids living in the surrounding houses, if you are in the city with your toddlers, it is a perfect spot to stop and reward the little ones after a longish shopping session. 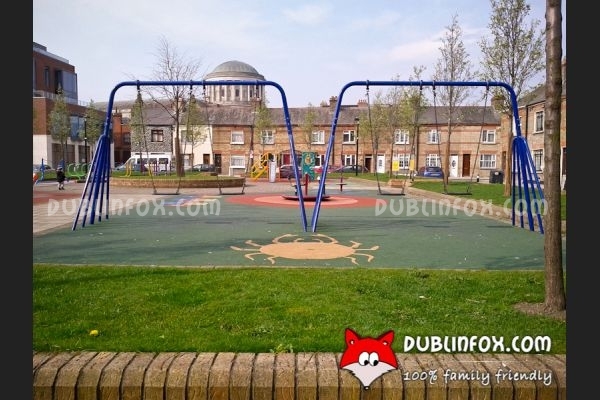 Click here to open Ormond Square's website in a new window.